A new survey from HNTB Corp. finds many Southern California residents hungry for a more efficient multimodal transportation system, including better scheduling and improved transferability from one mode to another. 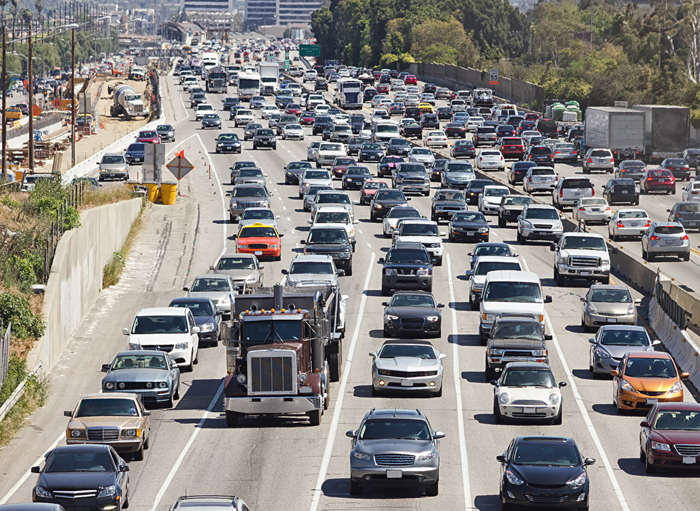 “California is the most populated state in the nation, and we love our cars, so it’s no wonder our roads are extremely crowded,” said Michael Palacios, HNTB Southern California district leader. According to the HNTB survey, 91 percent of Southern California residents drive on freeways, highways or toll roads, on average, four days a week. Looking back at the unofficial start of the summer travel, AAA expected 2.31 million people in Southern California would hit the road Memorial Day weekend, and 37 million Americans would do so overall. These numbers were the highest estimates since 2005 as consumer confidence is buoyed by an improved economy and lower gas prices. 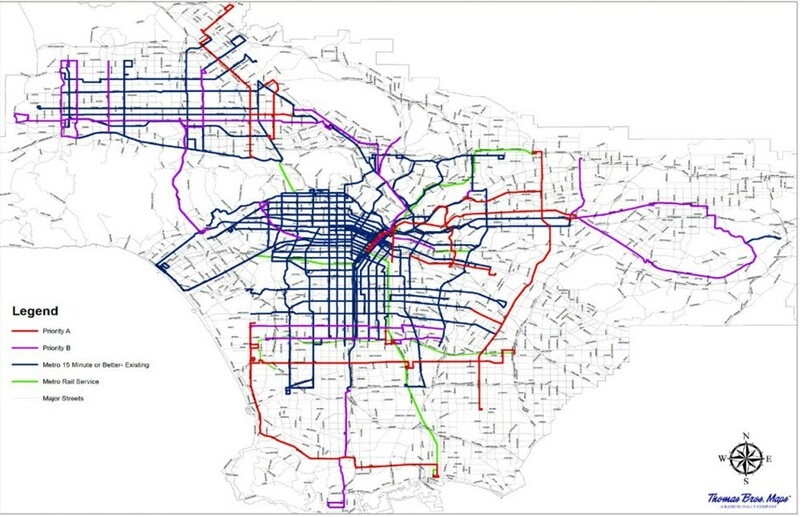 In recent years, Los Angeles has been doing just that, insisting on better bus service and expanding its transit network – including the Crenshaw/LAX, Purple Line Extension and Regional Connector projects – through Measure R, a half-cent sales tax that took effect in July 2009. Southern California residents want a more accessible and efficient local transit system. The HNTB survey showed more than 4 in 5 (84 percent) would like to have greater access to local transportation options. Today, just more than half (51 percent) of Southern California residents use local public transportation. Sixty percent of those who use public transportation use it at least once a week. Still, residents are hoping for more ways to get around, such as walkways (37 percent), bike paths (36 percent) and highways (29 percent). 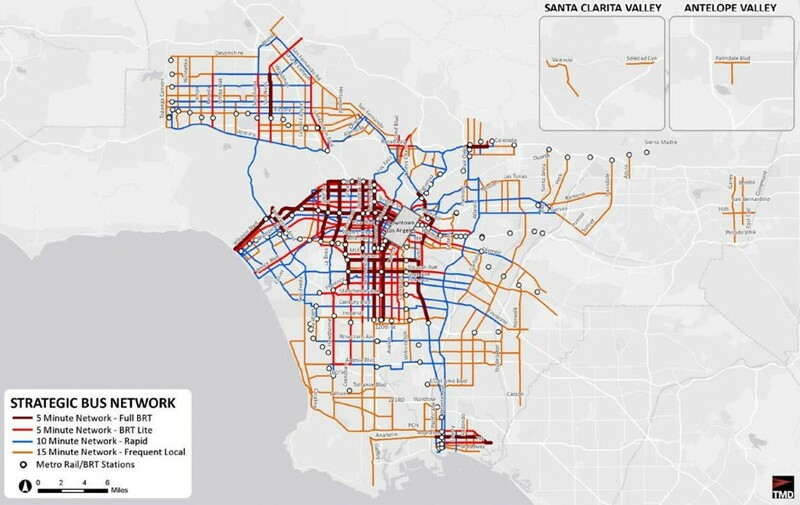 Southern California residents ages 18-54 are more likely than those 55 and older to desire greater access to public transit (52 percent versus 39 percent), rails (42 percent versus 31 percent), walkways (40 percent versus 28 percent), bike paths (43 percent versus 21 percent) and highways (33 percent versus 20 percent). More residents in urban areas than those in suburbs would like additional access to rail (42 percent versus 35 percent) and bike paths (39 percent versus 32 percent). Three in 4 (75 percent) Southern Californians would fork over their own money to have a better travel experience. “In fact, we found if local multimodal mobility choices were smoother, traffic congestion might be reduced, as many said they would switch to public transit,” Palacios said. More than one-third (34 percent) of this group would be most willing to spend more to use rail for this reason, while buses come in second (15 percent). More than 8 in 10 (83 percent) Southern California residents think local modes of transportation need to be improved in order to run more efficiently. Among those residents, better scheduling (62 percent), easier access and transferability from one mode of transportation to another (59 percent) and more frequent arrival and departure times (58 percent) top the list of improvements. Nearly half (49 percent) say a more cohesive single payment system would help. Palacios said Southern California might be able to leverage lessons being learned in the San Francisco Bay Area, which is moving toward such a system with Clipper®, a renewable, stored-value transit card designed to encourage intermodal travel and incentivize ridership. Seamless local mobility would result in nearly 9 in 10 (87 percent) Southern Californians changing their transportation behaviors. More than half (55 percent) of those who would change their behavior predicted they would go more places. Nearly two-thirds (64 percent) would reduce their driving, some would hop onto public transportation (63 percent) or walk (55 percent) more often. And 26 percent would even encourage more people to visit. HNTB is currently working on or has completed a variety of transportation projects in Southern California designed to improve the multimodal system, including the Alameda Corridor-East San Gabriel Trench grade separation; the Interstate 405 Sepulveda Pass Improvements Project; the Caltrain Jerrold Avenue Bridge Replacement; the Sixth Street Viaduct Replacement; and the Kraemer Boulevard railroad grade separation project. It also serves as lead designer to Walsh/Shea Corridor Constructors for the planned Crenshaw/LAX Line will connect the existing L.A. Metro Green Line with the Expo Line and integrate Los Angeles International Airport into the regional rail network. More than one-third (35 percent) of Southern California residents believe they will be using local public transportation more often in the next five years. Southern Californians also think they will be driving vehicles (40 percent) more in the next five years, while some think they will walk (30 percent) and ride bikes (22 percent) more to their destinations. There may be a boost in carpooling or ride-sharing as well, as 17 percent think they will do so more often. And 1 in 10 (10 percent) thinks he or she will take advantage of car sharing more often.